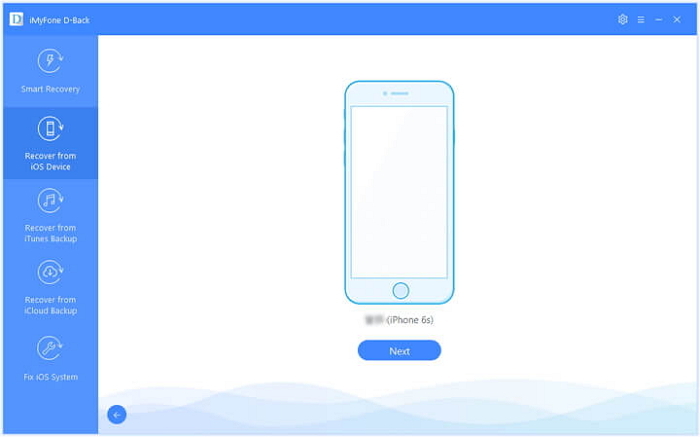 If you are reading page, you probably have been searching for a reliable iPhone data recovery tool and came across iMyFone D-Back, but you are not sure if the software works or is just another waste of money. This article is divided into parts that will shed light on this program and provide answers to any questions you might have regarding iMyFone D-Back. The short answer is YES. It is legit and highly recommended. Read this article to the end to learn more about this iPhone recovery tool and how it works. Part 1: What is iMyFone D-Back? Part 2: Is iMyFone D-Back Legit? Part 3: Will My Data be Stored on iMyFone Server after using D-Back? Part 4: Can I Buy iMyFone D-Back Cheaper? Part 5: How to Use iMyFone D-Black? iMyFone D-Back is a robust program that helps you recover lost data from your iPhone, iPad, and iPod touch of almost all generations easily, without needing any specific technical skills. It works on most Apple devices and iOS versions and it will recover your lost data whether or not you have a backup. Now you know what iMyFone D-Back is and what it can help you do, you must be wondering if it is legit. 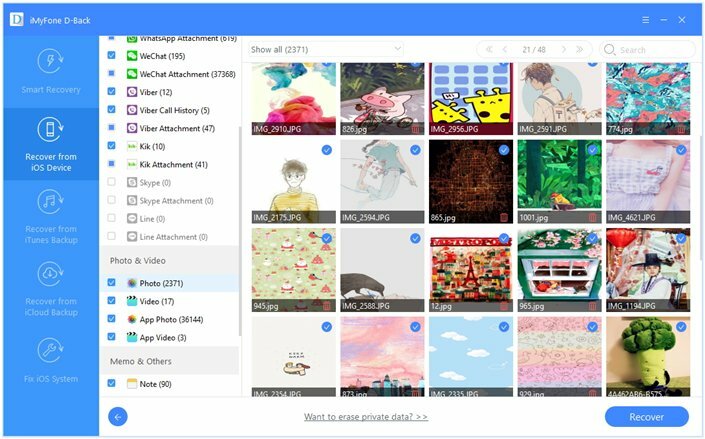 This program is 100% legit, and it is recommended not only because of its powerful features but also because it does most of the heavy lifting for you, allowing you to recover your data in a way that is 100% safe and secure. D-Back is used by thousands of people globally, and they are legit and endorsed by many authority websites and blogs. Part 3: Will My Data be Stored on iMyFone Server? After the recovery operation, information about your device as well as your data will only be saved on your own computer. Now you know that iMyFone D-Black works and is legit. If you are still not convinced, you can get a trial version for this program, so you try it out and see if it works for you. The trial will definitely convince you on this fantastic software. Moreover, when you wish to purchase this application, you can get it at up to 20% off the original price using a valid coupon code. Here is how to apply the coupon code upon purchase. Choose the appropriate iMyFone D-Back version for your Windows or Mac computer. Here we will take the Family Plan which is the most popular one as an example. Step 1. Click Add to Cart and you will be directed to the shopping cart page. Step 2. Check the “Check to enter coupon code mode”.Here is where you enter the valid coupon code and click Apply. Step 3. Next, you input your accurate details, which include your names, email address, your state and country, and zip code. Step 4. You will be presented with different payment methods – Credit card, PayPal, and so forth. Select your preferred payment method and enter your details to complete the purchase at a discount price. After purchasing this piece of software, the first thing you will notice is that it is sleek and straightforward. 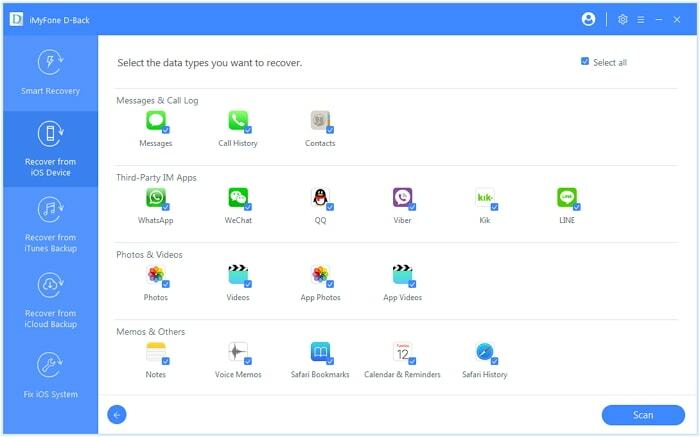 iMyFone D-Back offers the best way to recover data, as you don’t need any tech skills to use it. Also the D-Black will give you no compatibility issues, because it works with almost all Apple devices and iOS versions. Continue reading to learn how to recover your iDevice data using this program. Step 1.Launch the program and start with the Recover from iOS Device tab. Next, connect your device to your computer via USB cable. Keep your device connected throughout the operation. D-Back will detect your device automatically. After that, click Next. Step 2.Choose the file types that you want to recover, and then click Scan. The application now begins to scan for your lost data. Step 3.Following the scanning, all the data that can be recovered will show up on the screen. Preview and select the files you wish to retrieve and click the Recover button at the bottom right side of the page. After this, you will have your files and data back. Apple devices are unique, not only because of their amazing and standout features but also its legitimacy. Do not hesitate to try iMyFone D-Back. It is legit and will be your go-to solution for recovering all your lost data.